With the current economic climate (how many times have you heard that in the past 12 months), many people are unfortunately losing their regular day to day jobs. With the lack of jobs around, many of us have turned to self employment as a way to make sure we keep a roof over our heads, and to put food on the table. 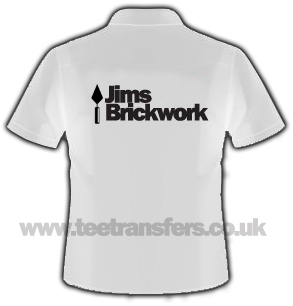 If you have started your own business, and are wanting to make the correct impact on your customers, then maybe its time to get your uniform sorted. Yes in an ideal world first impressions may not matter, but lets be honest... they do. 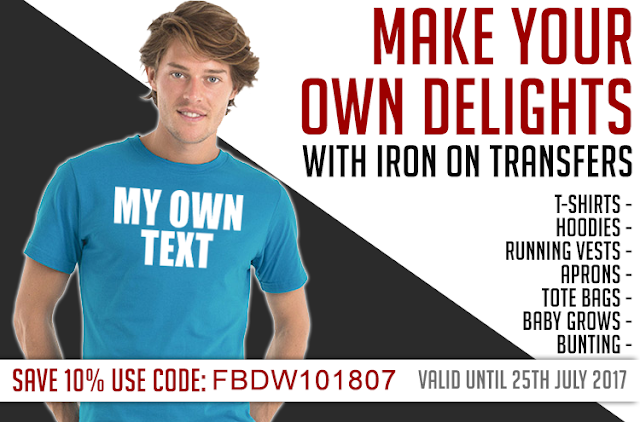 Thats why we have designed a load of business related iron on transfers to give you the edge (sounds like an exercise commercial - he he he). Our range of iron on logos will make your standard boring plain t-shirt/polo look more professional - without costing a fortune! Lets take Jim's business as an example. He's a bricky, and spends most of his time outdoors building outhouses, extensions etc. We dont give a second thought about sign writing our vehicles, but what do people focus on - when a wall isd being built? The builder! These were then placed on a T-Shirt, and he wears it when hes working. So get out and start advertising, and remember our transfers are made using the highest grade materials and ARE NOT PRINTED!